This blog comprises information for those entrepreneurs, who want to develop P2P (Peer-to-Peer) payment apps like Venmo and Square payment app. Herein we have curated a list of important features, which you need to check out. 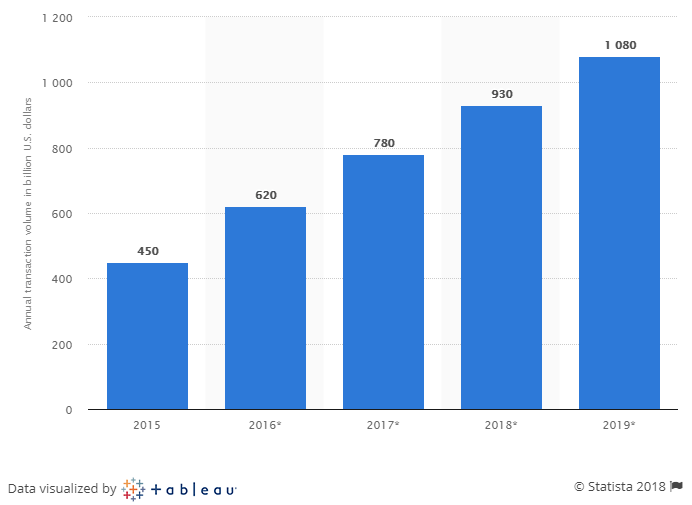 According to another report from Statista, “The global mobile payment revenue in 2015 was 450 billion U.S dollars.” In addition, it is expected to surpass 1 trillion U.S. dollars by 2019. This is what you can see in the below-given image. What is P2P Payment App? P2P stands for Peer-to-peer or Person-to-person. P2P payments can be used for splitting a bill between individuals for paying rents or taxi fares. However, such mode of payment allows to transfer funds between two parties by using their bank accounts or credit cards via mobile app or we can say that P2P payment app. Undoubtedly, P2P payment apps have become popular among people of all age groups, and especially in the United States. 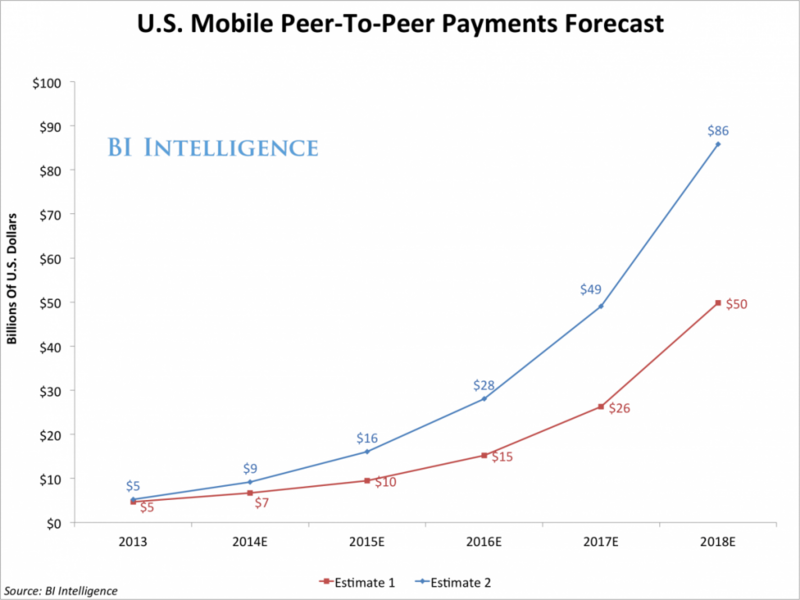 P2P payment apps have become the way people could split their fares, bills, and house rents. Well, PayPal was one of the first innovators in this niche, and it is still one of the most widely used for P2P payment. On the other hand, Venmo (owned by PayPal) and Square Cash are also the main players in the United States. Venmo allows users to provide quick and convenient transactions among friends through the mobile app. You might be wondering that what is Square Cash app? Well, Cash app allows users to allow send/receive money among friends via mobile app, web, or an email. In the below-given image, you can see the top P2P payment apps, which are: Venmo, Square Cash, Google Wallet, Dwolla, and Pop Money. This is due to the fact that the taxi giant, Uber has teamed up with the P2P payment app, Venmo, which is owned by PayPal. 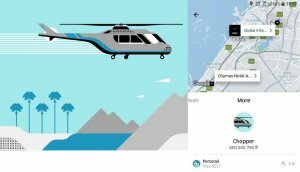 According to the latest report from TechCrunch, “Uber lets its app users to pay for rides and food via Venmo app.” This integration will become online in the upcoming weeks. All we can say that taxi booking apps are also making use of P2P payments for ease of their app users. Considering the constant demand, we can say that the peer-to-peer payment applications are gaining momentum on the web. According to the report of SensorTower, P2P payment apps have surpassed the banking apps industry in terms of popularity. Moreover, the data also shows that in the year 2015 and 2016, banking apps secure three spots in finance apps whereas P2P payment apps surpassed those apps in 2017 and 2018 that you can see in the image. 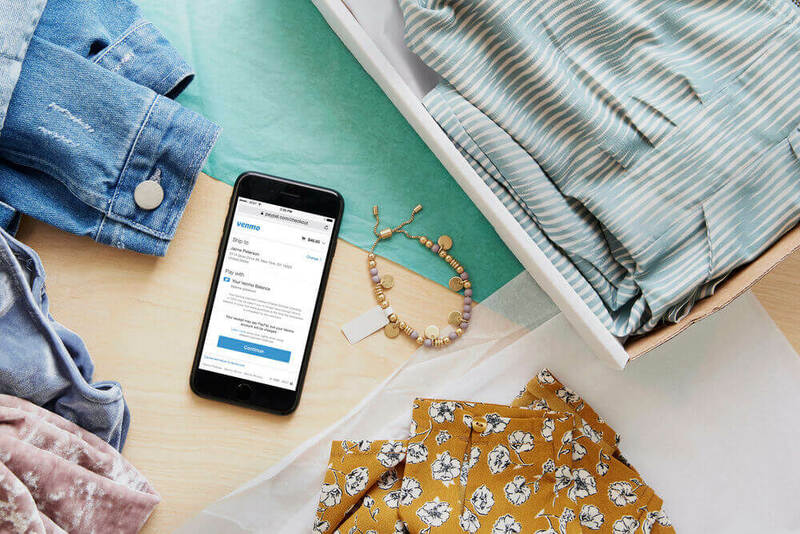 Talking about Venmo, the app has introduced its instant transfer feature that allows users to instantly transfer money from their Venmo balance to a personal debit card within just a few minutes. The cost of this speedy transfer is only 25 cents, according to the latest news by Theverge.com. One of the core features is centralized around the user’s high-level security. In order to provide security to your app users, this is an important feature, which you need to consider before developing apps like Venmo or Square Cash. As P2P payment apps are associated with risks, so while developing one such mobile payment app, it is important that it must be secure as it embraces sensitive bank account details and credentials of your app users. So, being an entrepreneur, you need to be very careful regarding security feature, and it can be achieved by allowing users to unlock app with fingerprints scan or security code. Today, e-wallet apps are widely used because of its simplicity and effortless usage. So, the next feature is the crux of P2P payment app. Developing apps like Square Cash, this core feature is all about enabling users to send or request money. For seamless mobile payments to friends or families, this feature must be secured and convenient when it comes to send and receive payments. Furthermore, wallet app design also matters when offering a seamless user experience (UX) to your app users. Bitcoins have taken the world by storm. And, it has become a famous topic as people talk about it from the past couple of years. Well, buying and selling bitcoins is an important factor. It is pivotal to allow your app users to buy and sell bitcoins in a safe and secure manner. Make sure you consider this feature when developing mobile payment apps like Venmo and Square Cash. Being an entrepreneur, it is important to take extra care of such feature when allowing transferring and receiving cryptocurrencies like Bitcoin. It is important to provide your users with the P2P payment apps like Venmo and Square Cash, which must be convenient, easy-to-use and fastest. 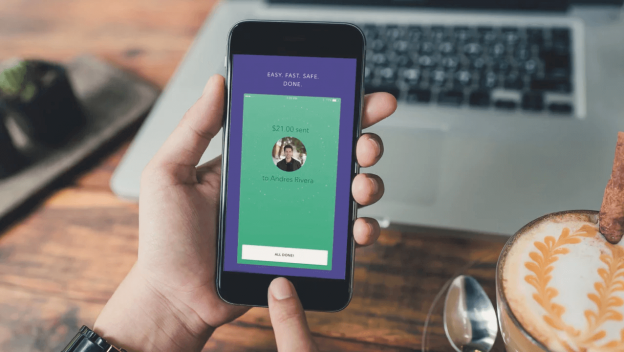 So, to develop one of the successful apps like Square Cash, ensure that you include such feature like a virtual card that allows your app users to pay by just scanning a virtual card via app while shopping. 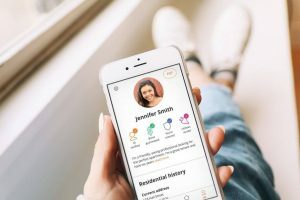 So, make sure that you consider as much as security to protect your app users’ accounts by offering them such feature in the app to transfer money, and where users can pay for their bills through virtual cards. Do You Have P2P Payment App Idea Which is Worth Converting into an App? Being an entrepreneur, if you want to create P2P payment app, allowing people to transfer/receive money and cryptocurrency, make sure that you consider including some of the top features that help users to make payments with just a few simple taps. Besides, to facilitate money transactions, if you are having an idea to develop Android app on P2P payment, then you can cross-verify it with us as we are a leading mobile app development company and have already developed over 10 Fintech apps with diverse functionalities and features. In case, if you still have any query or confusion on peer-to-peer payment apps development, how to make an app like Venmo or Cash app, app development cost breakdown, how long does it take to make an app like Venmo (P2P Payment app), how to make money with an app idea, Indian app developers cost or mobile app quotation sample, then you can get in touch with us through the below-given form and one of our sales representatives will revert to you as soon as possible. The consultation is free of cost. 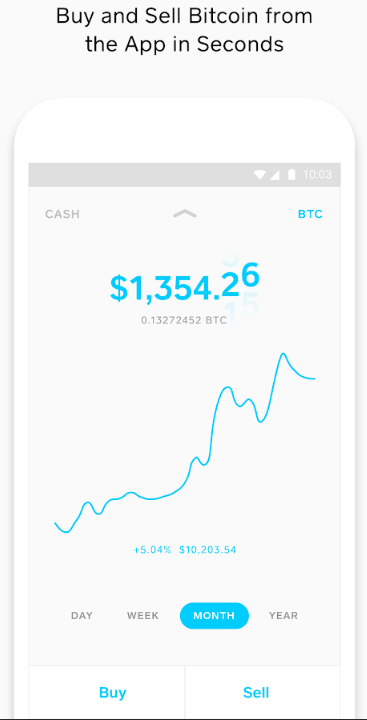 How Much Does It Cost to Develop a Personal Finance App like MoneyLion? This page was last edited on January 24th, 2019, at 8:32. 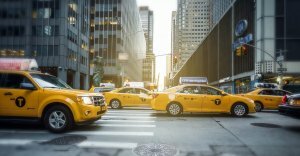 How These Top 5 New Features of Taxi Booking App Can Make Your App Successful Like Uber, Lyft, Grab & Careem?